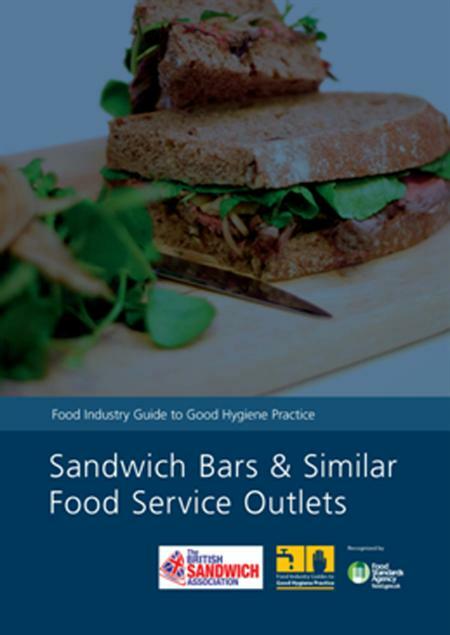 The Food Standards Agency (FSA) Food Industry Guide to Good Hygiene Practice: Sandwich Bars and Similar Food Service Outlets, provides advice on achieving the principles of 'best practice' during the preparation of sandwiches. The primary objective of the hygiene rules is to ensure a high level of food safety to protect customers. It covers the activities carried out by foodservice sandwich outlets that prepare and sell sandwiches open-served to be consumed directly by customers or wrapped and pre-packaged before they are sold. The use of this guide by businesses is voluntary. However, it is intended that the information will help businesses to meet their legal obligations, ensure food safety and minimise the risk of customers' complaint or illness. This guide will assist business operators to meet the legal requirements of Regulation (EC) No. 852/2004 on the hygiene of foodstuffs and of the Food Hygiene (England) Regulations 2006 and the equivalent regulations for Northern Ireland, Scotland and Wales. Developed by businesses and organisations on behalf of the sandwich (food service) sector this guide has been compiled in accordance with the recommendations as prescribed in Regulation (EC) No 852/2004 on the hygiene of foodstuffs (Articles 7 and 8), which provide for the development of national guides to good hygiene practice.